Hamel has been one of the most prolific US producers as of late, his trademark tek baselines and sharp synth stabs cropping up all over the place, most noticeably in collaborations with ex-Breeder Simon Noble under the Mezz monicker. In theory, his work with Blackwatch, aka New York's hottest producer du jour, should take off like a rocket--but that is not the case. 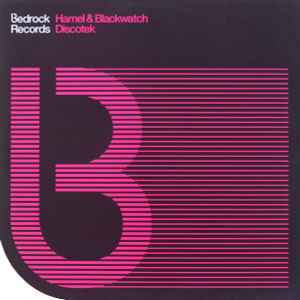 Don't get me wrong, Discotek is laid back, melodic and beautiful--nowhere near Barotek's soulful chords, but still head and shoulders above the increasingly bland crop of prog cuts the guys at Bedrock are so fond of. Excellent warm-up material, but definitely not a peaker.